4. Run decomp.bat. A bunch of files & folders will be created, but you'll only need to focus on the "1_FTEX" folder. 5. Now drag that .gtx file inside the "1_FTEX" folder onto gtx_extract.exe made by MasterVermilli0n. You're now done. The .dds file has now been into your hands, and you can edit it using GIMP. So, lets please try to stop it. We're not supposed to be Killer Keemstar's forum. This is a site on hacking SMM, not starting community splits, or hating on NSMB2 hax because some of its members decided to hate on us.. 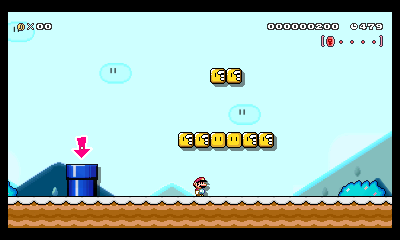 Credits to Mayroh No for making it, zachabossaloler for importing it (and changing the vines) and NightYoshi370 for importing it. With the growth of the NSMBU forum, a newly registered user (by the name of Deleted User) that suggested that we should have a NSMBW forum. -FruitSmasher & Toms are making their own board. -It'll make us look like a derpboard, with 999 topics, and not one specific. So should we? Also, if you post on the pole, please say why you think so. Um, JeDa, that's a BrickWay3DS joke that Margen67 will tell you all about. The board isn't supposed to be a place for advertising stuff. Sorry Zach, but you're wrong. 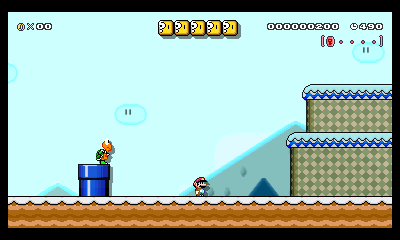 Bowser's world sounds like a good idea, but can we make it so that mario has to go through different dimensions to get back home? it would be smart if we just made one and stayed at it. Well, once Fruit makes his NSMBW forum, we'll be archiving ours and redirect everyone to his. theninja1000 No. This is supposed to be on how to make a post layout for our forum. Posted on 06-08-17, 09:02 pm in How to make a post layout! 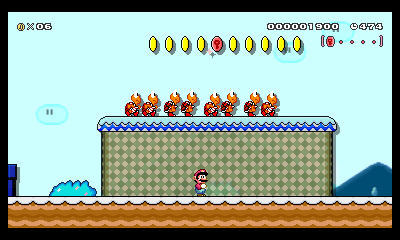 Welcome MarioGamer! Enjoy your stay! Do you have SMM? If so, maybe you can make some mods for us. Posted on 06-12-17, 07:14 pm in Introduce yourself! Since the end user is banned permanently, there is no reason for this to stay. Posted on 06-23-17, 01:41 pm in I made a PC game! 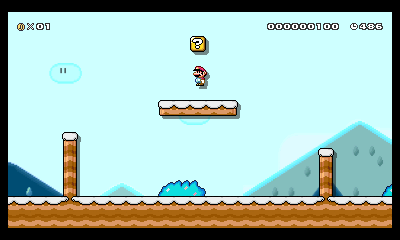 Have you ever wanted a snow theme in SMM? Well, now you have one. ~ Hüseyin der Mächtige: Did the pipes and Semisolids. Well, you're mainly a mod because we needed someone for our discord server. (I'm kidding. We "promise" not to hurt any skiddos while you're around. Posted on 09-04-17, 06:38 pm in Introduce yourself! 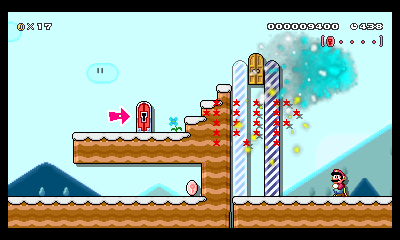 AKA: We're late to SMM's birthday. - The Wiki might get a return. - The forum might get a name change. - We are celebrating an early Halloween. Well, we were already, ever since sunday. True, but some people may like that. Personally, I like the SNES songs better, because of how classical they can be. So, since today/yesterday was the 16th anniversary of windows XP, I wanted to make this thread to remember that great OS, and to share my experiences with it. The first thing is the UI. This looks like a major step-up from all the previous OS's and took up a few amount of ram. Thank God for that, as you can only have a 4 GB of ram as your maximum amount. Now, for me, my family has had a windows XP machine before I was born up until past 2012. Yeah, I've had 9+ years with that OS, so I have some pretty good memories. I'll start with my experience with IE6: I used it.....to download Google Chrome. The Windows Movie Maker version that I was using was reasonably simple. It's not what I use to make my current videos (I currently use Windows live movie maker) but at the time, it was all I needed. But dear God, the rendering times were awful. It took 3 hours to make a 30 minute video. Anyways, try to guess what software I would use for thumbnails. Yep, MS Paint! I still use it now, but for rare occasions (I currently use Paint.NET). Basically, at the time, I made a surprisingly well yoshi artwork. I also made custom club penguin stories. And since at the time I was an idiot who didn't know what PowerPoint was, I used Microsoft Word for it. The version of Microsoft Office I had was office 2007. To this day, I still think that version is the best out of all the rest. I remember figuring out how I learned to inset images, and then every page would be a frame, so I put a bunch of frames and scrolled down slowly, and it looked like a journal. The main character from club penguin that I drew was Gary the lab agent. Idk why, but at the time, he inspired me. Now, not at all. But of course, office tools are meant for work, and luckily, I have just the story for that. So my dad set me to do a job, and edit one of his excel files. Now, this was being done with an actual pc. For some reason, my dad wanted me to sit on the opposite side of the desk. So I'm Hathaway done, and my dad goes to get something. My grandfather then comes and sees that I'm struggling with the length of something. And I didn't save my work. So he unplug the pc and gets an extension cord. At that moment, I gave up and left. Well, as for the file explorer and image gallery, my family had fun storing pictures of our family on it. Though, they love to tease me when I say I don't like the "crazy frog" song, so they would always play it. Now, whats the point of software stories if you don't have software stories? Well, I only remember having 2 machines. All of the story above was performed on a PC that is now lost. The other machine my family owned was a Dell laptop. Now, this laptop was converted to a pc by my family. It was mostly used for my grandfather. What happened was that I disconnected the laptop from the monitor and for some reason, it won't boot up anymore. I remember that PC had office outlook installed. Well, that's all my stories. Basically, I've skipped Vista as it was super slow to use, and went straight to 7. May XP be remembered deeply in our hearts. Page rendered in 0.272 seconds (with 1.537 MB of RAM).